Jerad Racine - Mowbray & Son, Inc.
Jerad Racine is a Minot, ND native. He joined the plumbing/pipefitter apprentice program in 2003. During his apprenticeship, Jared worked for Mowbray & Son, Inc, Dan’s Plumbing, and at the ND gas plants. Upon becoming a Journeyman in 2008, he remained full-time at Dan’s Plumbing until 2012. Jared is certified in med-gas and acid waste. 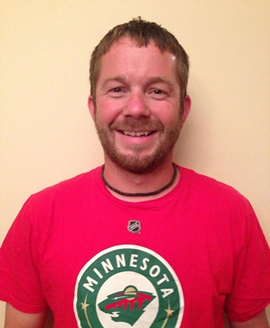 He became a full-time Journeyman Plumber at Mowbray & Son, Inc in 2013 and was part of the plumbing team at Erik Ramstad Middle School, New Town High School, South Prairie School and the New Town Event Center. Mowbray & Son, Inc./M&S Sheet Metal, Inc. specializes in mechanical construction which includes plumbing, geo thermal systems, heating, ventilation, and air conditioning. Copyright © Mowbray & Son, Inc. All rights reserved.